It seems to be a Triglycerides Paradox for the super-elderly– the higher -the better. These were the results recently concluded by a recent study that has been recently published in the Journal of American Geriatrics Society. A team of researchers in China has found that Higher triglycerides lower risk of cognitive decline, frailty and death in 80 and above. “Triglycerides” are one type of blood fat that body uses for energy. 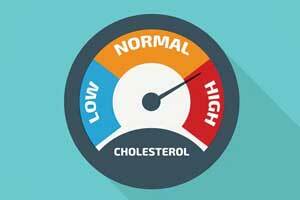 High levels of triglycerides can raise risks for heart disease in younger adults. However, not much s known about the risks to adults aged 80 and older. The researchers explored links between triglyceride levels and the ability to perform daily self-care activities, cognitive function, and frailty, falls, disability, and death. They explored whether current triglyceride-level guidelines make sense for people aged 80 and older. They looked at whether triglyceride levels had an impact on death in a group of 930 Chinese adults aged 80 or older. They learned that for the oldest people in the study, having a higher triglyceride level was linked to a lower risk of cognitive decline, less of a reduction in the ability to perform daily tasks, less frailty, and lower risk for death. The researchers said their results challenge current thinking that having high triglyceride levels is a risk factor for age-related chronic disorders and death. The researchers said their study suggested that, after the age of 80, taking medication to lower cholesterol may not have much–or any–benefit. It is well established that adults younger than 65, having high cholesterol levels in the blood have increased the risk for heart attacks and strokes. However, in adults 80 years old and older, researchers have not thoroughly studied high cholesterol’s impact on heart disease, your ability to function well, or your risk for death. This describes the fact that for adults aged 80 and older, having some conditions that are considered health risks in younger adults predicts better survival. These conditions include having higher total cholesterol, higher blood pressure, and higher body mass index (BMI, a ratio of body weight to height that helps determine whether you are overweight or obese). Why recently most of the studies going against stations? What\’s the new business plan?